Season 2 of UnREAL ended well over a year ago, so it’s safe to say the fans are craving the return of Quinn and Rachel. The third season, which was shot from February to May 2017, was pushed back, originally leaving the cast worried about the show’s future. However, it may have just ended up being perfect timing. During season 2, Rachel revealed that she had been raped by one of her mother’s patients when she was 12. However, the story line will come to the forefront during season 3 — something that Appleby was hesitant about. The Roswell alum also pointed out that she hopes this does help women who may not have the courage to stand up for themselves yet. “I think that’s a brave thing that a lot of women are doing right now and it’s a wonderful thing being shown on television to give other women a visual and an example of what that conversation can look like,” she continued. This season, more than the first two, is all about the strength of the women. For the first time, Everlasting will have a female suitress, who presents an entirely new challenge to Rachel and Quinn (Constance Zimmer). 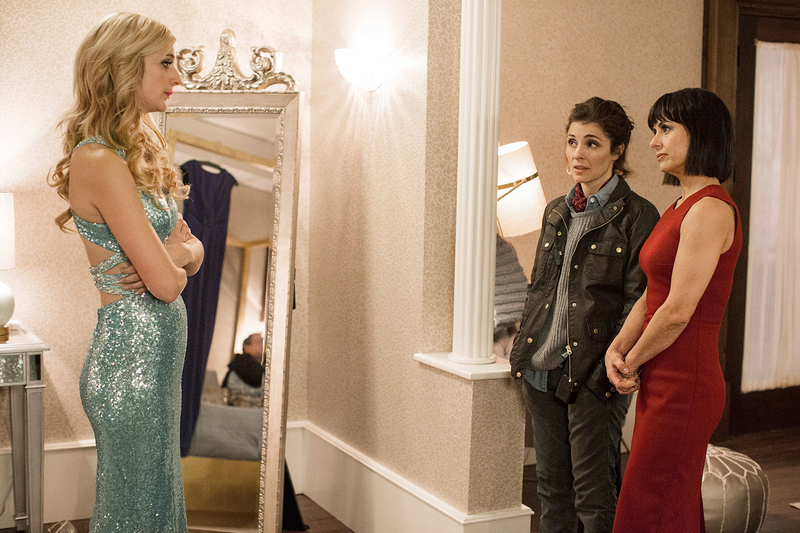 UnREAL premieres on Lifetime Monday, February 26, at 10 p.m. ET.